The history of soccer can be traced back to almost every country of origin. The game was so accessible that men of every status could afford to play. It’s easy to imagine that games of kicking a ball or something that resembles a ball have been around for thousands of years. The ancient Romans and Chinese are credited with the very first signs of soccer. China used to play games similar to football as far back as three thousand years ago and the Romans used to keep there warriors fit with football. A number of other countries laid claim to the sport as well including Japan, England, Italy and South and Central America. Credit with the formal development of soccer history is rightfully given to England. They were the first to start incorporating rules and form associations or leagues. 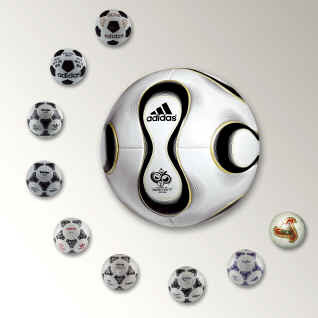 Around 1863 they began to separate soccer from rugby and formed the first Football Association. Teams from around the London area came together and began to formulate the basic rules that were agreeable by everyone. These included the size of the field, number of players and rules regarding contact. Ironically it wasn’t until six years later that the hand ball or no carrying of the ball was included. The sport blossomed throughout England and held its first championship after just eight years. As expected the sport traveled throughout Europe and international competitions between England and Scotland formed. The sport brought in spectators and produced athletic stars which pushed the organizations to formalize their practices. New associations began to pop up throughout Scotland, Ireland and Germany. Soccer history has evolved to today’s standard where it is played at the amateur and professional level all over the world. It is recognized as the most played and watched sport in the world. The basic rules and limited amount of equipment make soccer an easy sport to participate in for all.